Over the world, India has been a hot investment destination. With our rich experience, we can advice and facilitate setting up of the company and have it running smoothly. Our service certainly adds value to the entire process and helps the client to focus on commencing its business operations at the earliest. 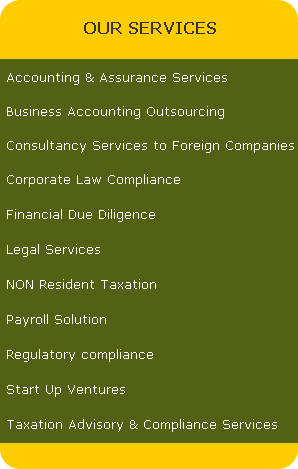 We, thus provide all services under one roof to clients looking out to explore business opportunities in India. Preparation of a feasibility study to starts operations in India.